Data Recovery Lab located in Columbus, OH. We're not just a drop off site. Hard Drives, USB Flash Drives, RAIDs, Tape Cartridges, & Many More! We’re the only real data recovery lab in Columbus. Try visiting any of the other labs that claim to be in Columbus, and you’ll see that they do not even exist. Try calling the other labs, and they’ll ask you to ship your device to them. Get your treasured data back today! Don’t know how to remove your hard drive from your desktop computer? We can walk you through the process or do it for you. Most are under the assumption that a RAID cannot have data recovered. We’re proud to let you know that we can assist with RAIDS / Servers / NAS. Bring your laptop in and we can remove the hard drive for you on the spot to perform your free evaluation on the drive. We’re able to recover data off of many magnetic tape formats. LTO, SDLT, AIT, VXA and many more! Dropped or knocked over your external hard drive? Bring the drive in for review. We can handle Windows, MAC, and Linux systems and more. Older systems will not scare us off, so please don’t hesitate to ask. Even though they weren't able to recover the data we needed (BADLY damaged drive), they swapped in replacement parts and spent several days working with me to identify target files and sent outstanding reports. Communication/responsiveness was excellent. I'll definitely use them again. Magnext helped me out in a big way. Help me find some important documents on a flash drive that was reaching it shelf life. They recovered the items I needed and I am so grateful. They also gave me some good advice. They definitely know their work. A Must Go place when you're having issues of all kind in computers and more. When my flash drive wouldn’t work 5 hours before a deadline. I called and came right in and they looked at my flash drive and pulled everything off and moved it to a new flash drive! AMAZING SERVICE AND AMAZING EXPERIENCE!!!!! Everyone at Magnext was extremely helpful with my deleted data problem. From the moment i walked in, they all jumped into the problem and answered every one of my questions. Work was begun immediately to restore my deleted files and i had answers back several hours later. I found additional issues after picking up the recovered files which were promptly resolved by telephone and email. Although my issue was rather small, it was very serious to me, and I could not be more pleased with their efforts to get me back working. Very friendly and fair. I was able to just stop in and drop off my external hard drive without an appointment. After they did the free assessment and gave me the estimate, I did some more searching and found that I had a backup of what I needed already, so we didn't end up going through with it. I was able to stop in and pick my things up without any trouble. Thanks! Tim and the crew are the real deal. After getting no where with microcenter, but lost time and gas. They were able to pull all my files off a bad hardrive. Amazing turn around time. I hope never to go thru this problem again, but if I do I know who to call. From start to finish, exceptional service and a great value. When my hard drive failed and I was a few months behind in backing up, Magnext did an incredible job getting every last bit of data back. Tim stayed in contact every step of the way, giving me updates, pricing and options. I am so grateful these guys exist - the only other option would have been to send my laptop away for up to 2 months, spend up to $2K and hope for the best. From start to finish, it was one week, and the pricing was very reasonable. Highly, highly recommend. I trust Magnext Data Recovery to assist me with my most important work and personal data. I am a repeat customer and won’t go anywhere else. These folks know their stuff! !They are local, trustworthy and speak to you personally. The cost is very reasonable and they stay in touch with you to assure timely repair and pick- up that is convenient for you. 5 Stars isn’t enough!! They are a 10 ⭐️! Great service, friendly employees. Highly recommend. I thought I lost all our pictures, but Magnext got them back for me! My wife isn't going to kill me now. After calling a few other places around town(all seemed to be fake), I gave Magnext a call. I was able to talk to a real person on the phone who help guide me down the right path. They saw me the same day and had my files within a couple days. Dropping your external hard drive is not advised(just in case you didn't know). The peace of mind I gained from this was a memorable experience. Our computer would not boot up and we thought all of our wedding and kids' baby pictures would be lost. I contacted Magnext and they were able to recover all the data from our computer. The service and professionalism of the staff was incredible. I cannot thank them enough for being able to save such priceless family momentums. I lost all my work files on my hard drive and needed them back ASAP for my project. I contacted MagNext and they retrieved the files in a quick manner! The data recovery specialist (Mark) at Magnext worked on my formatted MacBook hard drive to get my erased pictures back. He was able to get all the data that was recoverable back for me. Their service and customer care is exceptional and I would recommend their services. I wasn't charged anything for evaluation. I knocked over my USB drive and it wouldn't work anymore. Took it in to Magnext and they got my files back at a very reasonable price. 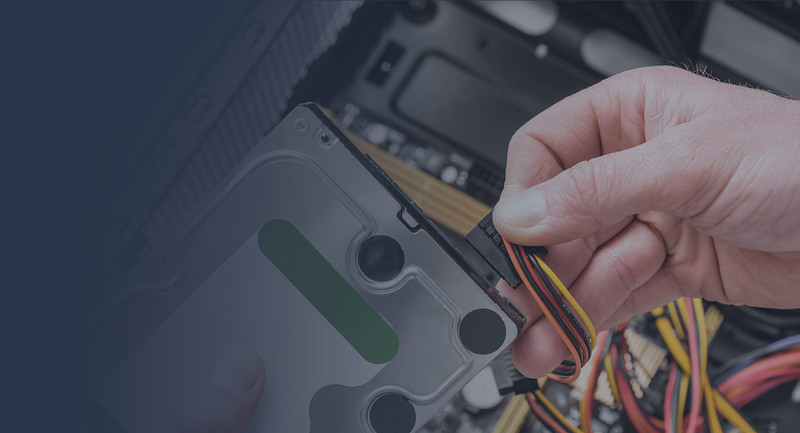 Drop in or contact us today for your free data recovery evaluation!